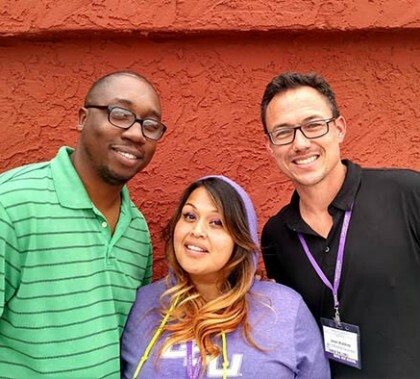 Two online students with far-reaching goals to help others have begun working toward their GCU degrees thanks to the “We Care for America” full-tuition scholarships they received recently. Kristen Stark, a neonatal nurse, would like to take her skills to countries that lack proper health care, and Michele Vogel, the 175th Wing Command Chief in the Maryland Air National Guard, would like to help military families. GCU has introduced cybersecurity degrees to teach students to be “hackers with halos,” graduates armed with tools necessary to join the fight against cybercriminals. 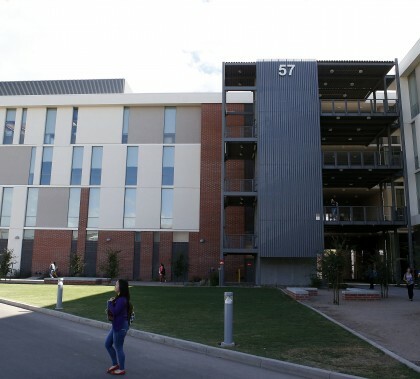 It’s part of GCU’s initiative to roll out a rapidly multiplying list of online and ground STEM degrees as it continues its mission to produce well-trained, highly competitive graduates in the areas of science, technology, engineering and math. Dr. Mike Baird doesn’t put on airs. That’s not the kind of guy he is. But the 17th professor emeritus in GCU history is beloved by both College of Theology students and faculty for his knowledge and his charm. GCU Today has the story of what makes him special. 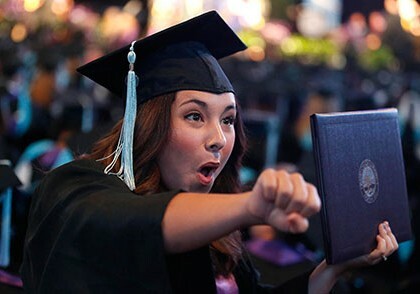 Neither rain nor lightning nor dust storm nor traffic could detract from Grand Canyon University’s online commencement ceremonies Friday and Saturday. Once the attendees were safely inside GCU Arena, which took some doing when the dust started blowing Friday, there were congratulations for a job well done and triumphantly raised fists to signify an impressive achievement. 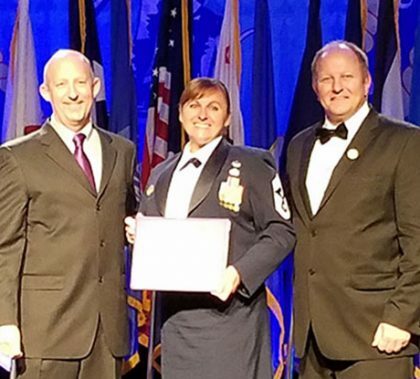 One of the new online instructors in the Colangelo School of Sports Business is a lieutenant colonel in the Air Force, but that’s just one of a number of impressive roles and accomplishments Mark Clifford has had in his career. Among them was national collegiate boxing champion, and his coach just happened to be Dr. Randy Gibb, dean of the Colangelo College of Business. 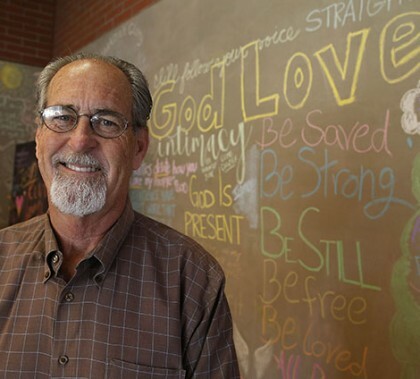 Read more about Clifford in this GCU Today story. GCU online alum Zenon Castro plans to swap his cleaning supplies for textbooks and become a special education teacher, fulfilling a lifelong dream. 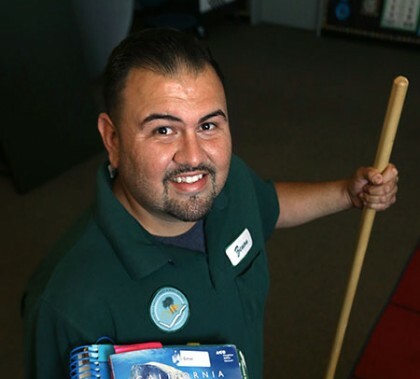 Castro began working as a night custodian at Mountain Vista Elementary in Indio, Calif., while earning student teaching hours toward his master’s degree, which he completed in June. He plans to take over a special education classroom at Mountain Vista this fall. This week’s Antelope Intros feature two Peoria employees — one has fond memories of her “big hair” days and the other is an artist, writer and poet. Dr. Jean Mandernach has an impressive list of accomplishments especially in the world of academia, having published more than 85 scholarly journal articles and 11 book chapters on online education. But her most recent accomplishment may be her best. Mandernach co-authored “Evaluating Online Teaching: Implementing Best Practices,” the first comprehensive book focusing on measuring quality of online teaching, with Dr. Thomas Tobin of Southeastern Illinois University and Dr. Ann Taylor of Penn State University. The book currently is ranked No. 1 in two Amazon categories.